One of the fundamental challenges that many board members face is a lack of understanding of their role as a board member and the related fiduciary and governance responsibilities. This Board Building Training Series addresses the fundamental elements of service common to most board of directors. As a nonprofit leader, you and your board will understand board member responsibilities, how to structure the board in the most efficient manner and how to accomplish governance work that aligns with the mission of the organization. How Can Your Organization Benefit from Board Governance Training? Your board of directors is a leadership team that needs the most effective tools to help your organization succeed. Training will ensure your board is in agreement with the roles and responsibilities related to governance and understand the practical application to provide your organization with the best chance of success. These customizable training modules include training for the leadership team as well as the board members, real-life examples, sample forms and policies, and key takeaways from each session. Book a discovery meeting between now and March 31, 2019 to be eligible for a 15% discount. Book a discovery meeting and complete 3+ Board Building modules by May 31st to be eligible for a 20% discount. Having a board of directors with clearly defined roles and responsibilities is vital to your organization's success. Make sure yours is. It sounds basic, but one of the fundamental challenges that far too many board members face is a lack of understanding of their roles and responsibilities. This module provides for an in-depth discussion of core areas of board member and overall board responsibility. This module provides an in-depth overview of the board members’ legal responsibilities, liabilities, and the oversight the board of directors must provide to protect the organization. This module explains the board of directors’ fiduciary responsibilities in the areas of financial oversight and risk management. This module helps board members understand the importance of active engagement to ensure that adequate resources are provided to the organization and how to get involved in fundraising. This module presents best practices around the definition and communication of the organization’s mission while linking strategic planning and evaluation to achieve organizational success. This module offers guidance over building and structuring the board of directors, enhancing leadership roles, and the partnership between the board chair and the executive director. Creating and implementing a clear, strategic and well-defined roadmap can guide your nonprofit organization to success while fueling its goals and mission. Access to an experienced, professional and knowledgeable partner to get you there is essential. Visit our nonprofit industry page to learn more about how we can assist your organization. 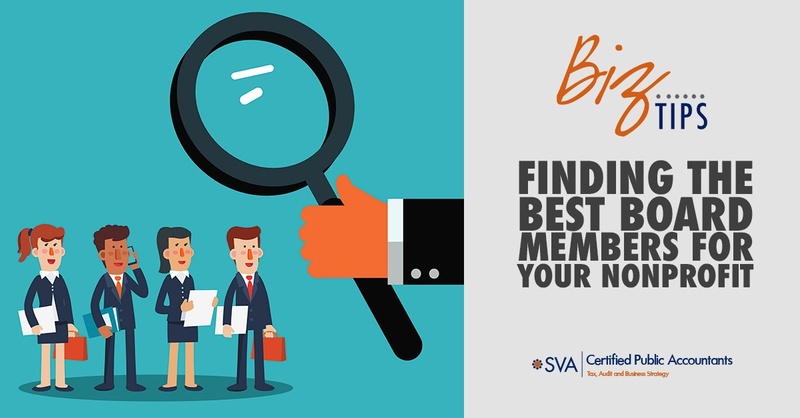 "SVA’s reputation and expertise with nonprofits made them our first choice! Their ability to turn the work around in a condensed timeframe, and in a way that all Board of Director members could digest easily, has made them an invaluable resource to us." Want to learn more about how we can specifically help your business? Looking for additional information on a service or industry you can't find on our website? 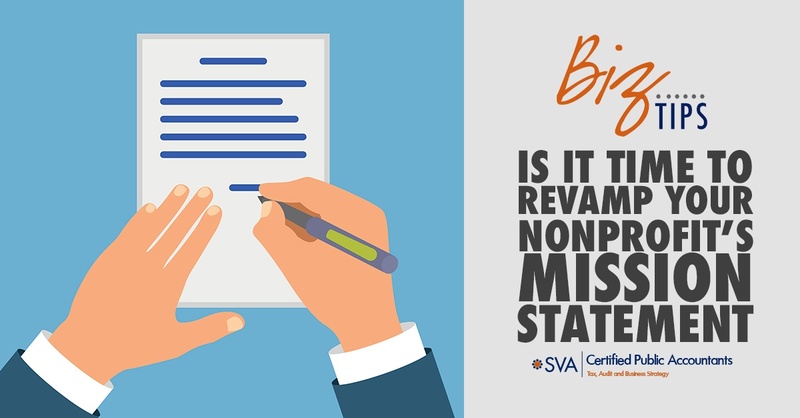 Is It Time to Revamp Your Nonprofit’s Mission Statement? Hear from our very own professionals as they share their insights on how we can impact your business through our Spotlight on Service videos. Click an image below to play.